Essentialism suggests that a word is a sign for a meaning which correlates to an object. The way words connect with the world is by picturing a state of affairs by the use of names/signs which have determinative meanings. The object in the world has a sign. The meaning is the object in the world. The essence of the word is the meaning, the object. This, it is assumed, is known through the pointing and repeating the name of the object you are pointing to. This is an ostensive definition. To ostensibly define something is to point at something and say its name. For example, I can point at a chair, and say, “chair.” My son then learns the name of the object. The essence of language, therefore, is ostensive – it is the naming of objects. Names are then combined in sentences to create pictures of reality. Anti-essentialism, as espoused by Ludwig Wittgenstein, is the denial of essentialism by asserting that there is not one thing that a word can mean. Rather, a word can mean innumerable things depending on its use. Wittgenstein's criticism is to find fault with what one is pointing to. In Section 1 of Philosophical Investigations, Wittgenstein argues that language is not merely ostensive. For example, it is clear that the idea of cheerfulness cannot be pointed to. All one could say is that cheerfulness is a certain facial expression. Actions and properties cannot be grounded in ostensible definitions. Furthermore, not all words are nouns that connect with objects. There are words that are names of actions or properties. Then there are words that point to nothing outside of the word themselves. Take, for example, a shopkeeper who is asked, by a customer, for “Five red apples.” “Five red apples” can be taken consistently with an ostensible view by positing that each name can be checked against a measure. Five, red, apple must already be known by remembering what they are from having them pointed out to him. However, the shopkeeper might have ostensible knowledge of apple, but not of red and five. The picture theory does not seem to work for the meaning of red and five. The shopkeeper merely acts in a certain way not because he has ostensible meaning for five and red, but because he has been conditioned to act in a certain way in response to red and five. There is, in other words, no essence to red and five. Then Wittgenstein says that there is actually no essence to the word apple either! It is how five, red and apple are used, not what they refer to that is in question. One does not ask what does five red apples refer to, but how one should act in response to them. What happens in speaking these words? According to Wittgenstein, language works more like a script for action (I:4). There is no essence of chair since it is the use of "chair" that determines its meaning. One might sit on a chair, chair a meeting, be a chairperson, take the chair. If one is committed to an ostensive view there is another difficulty: How did the learner in ostensible language view know what pointing itself means? The pointing itself must be understood to mean something. The learner must already have meaning to the pointing before the pointing. Wittgenstein uses the illustration of builder A and builder B. A shouts, “Slab!” B gets a slab and gives it to A. This appears to be pure naming of objects, but how does it work? The naming is not all that is at play. The illustration assumes that A and B know that when A names "slab" B will fetch. This cannot be known through ostensible means alone. In Sections 3-4 he continues this line of thought. There are different linguistic acts which are performed in naming – command, question etc. Language is more than names; it is a communication system. Written text, for example, does not contain body language or inflection. It contains punctuation which attempts to translate inflection into written signs, but so much is lacking from text. This is the reason it is sometimes easier to understand the spoken word than the written word. Section 7. Begins to unpack what Wittgenstein is going to put in place of the picture theory. Language cannot be spoken of as essence, but of linguistic activities in “language-games.” The learner names the object when the teacher names the object. These processes resemble language-games. Your experience of learning a language—flash cards, tests etc—are processes of games, learning rules and reading texts. A language-game is a complete way of doing an activity that includes verbal and non-verbal behavior. One can then refer to different games – poetry, drama, story, instruction etc. Section 10. The words signify what use they have. This object signifies something only in the context of a language-game, even the learning of the name is done in a game. All words signify, so all words are doing the same thing, but there are words doing something else. Section 15. We do not attach the word “chair” to a chair as there is no essence to the object and no essence to the name. Conventions dictate that we may use that name to indicate that object. We are free to use it in a number of other ways as well. “it is as you please” is said to diffuse the question of how one word is attached to an object. That is not the big deal about what words mean what. Rather, let us see how we can best use words. Sec. 17. Instead of essence to words we have a classification scheme. The functions of words are made to be part of a grouping scheme, what words belong where. Words can be used according to purpose, to outcome. The same word is used on the grocery list, in your personal journal, in historical essay. Sec. 23. Wittgenstein rejects invariability in language. Think of the phenomenon of slang. We take a word and use it in a radically different way to its normal usage. Yet in all contexts that it is used in it has meaning due to just that – its use. Wittgenstein is attacking a very common view. Underneath is an attack on Platonism. Plato's forms are universalized particulars, chairs being derived from chairness. Wittgenstein is saying that the proper way to view things is through multiplicity. But what if we want to find the form of all games as universal? Wittgenstein rejects this and says that games are not universal, but particular. Sec. 26. Naming something is not a linguistic act. Naming is like attaching a label. One might say that this is preparing to use the name, but you prepare to use it for something. Merely naming is not a game unless it names in order to use it. Even then it is no game as it is preparation. 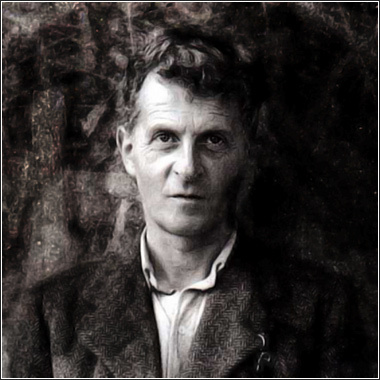 Wittgenstein's view has been diversely interpreted (a perennial problem of language-games), and some are quick to dismiss it. However, for the Christian, there is no need to react in such a way. If language is not essentially in nature and is, rather, a function of a form of life, there is ample resource within the Christian view that accounts for language and provides the ground for universality and particularity that is mildly askew in Wittgenstein's account. A language game is, in a sense, an interpretation of reality. As such, God is the ultimate interpreter who determines meaning. God's language game is an authoritative language game that functions as the authoritative interpretation of all reality. By God's inspired word in scripture believers are given the appropriate authoritative language game by which to interpret and derive all other language games. It might be suggested that this makes truth relative to the subject. But if God determines what is true then we derive truth and falsity from God's truth. It follows that, if Wittgenstein is correct, language can bear truth because God has determined truth and falsity and equipped human beings with the ability to know truth and falsity. Truth is, therefore, relative to God, but that does not mean that all truth is relative to all subjects. Much of the above is derived from my notes taken in a class on Wittgenstein taught by John Feinberg at Trinity Evangelical Divinity School in the fall of 2011.